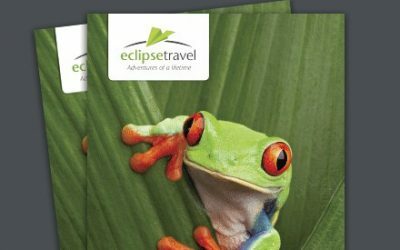 At Eclipse Travel we are tailor-made travel specialists, and are looking forward to working with you to design your perfect trip. Please feel free to browse our brochures for ideas, information and inspiration. These brochures are intended to spark your imagination, but we offer far more than we could ever fit in these pages. Please get in touch with us for more information from our experienced and informed travel designers. Our Latin America & Antarctica 80 page brochure (13mb pdf). Includes the Galapagos Islands. 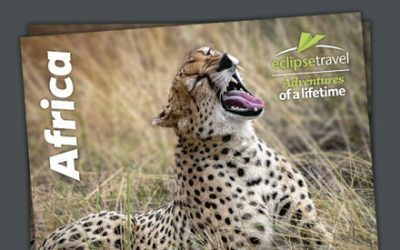 Our Eastern & Southern Africa Brochure. 24 pages (9mb pdf). Note: Please consider the environment when printing out these brochures. If you request a printed version and are finished with the brochure kindly recycle or pass on to others.